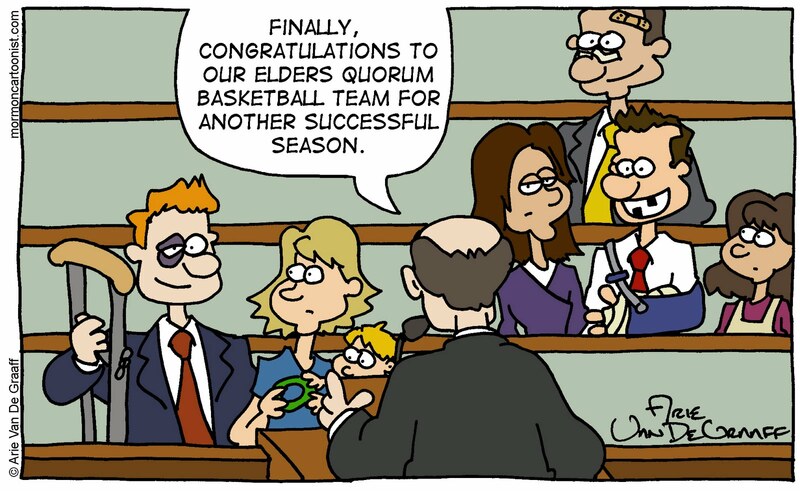 My ward basketball career, for all intents and purposes, ended suddenly a couple of years ago when, going for a loose ball, I slammed into another player and threw my shoulder out of whack. It was nearly a year before I had full motion again and since then I've ventured onto the court only a handful of times and have never played with the same reckless abandonment that I exhibited before my injury. Sometime in the next two weeks, Jimmer Fredette's BYU basketball career is going to end (likely equally as suddenly*) and for this BYU fan it's going to hurt just as bad as my shoulder injury a couple of years ago. *Please no comments on how my posting today's post prior to Fredette's last game (whether today or Saturday or next weekend) in any way curses the team to loss. First, you and I both know that this silly, little blog has no impact on the real world and second, I don't think I could live with the guilt. One should never underestimate the butterfly effect. With Conference now nine days away, any hope of anything relating to that any time soon, or is basketball pre-empting it? Oh Arie, Arie, Arie. Now you have to live with the guilt. So very sorry. 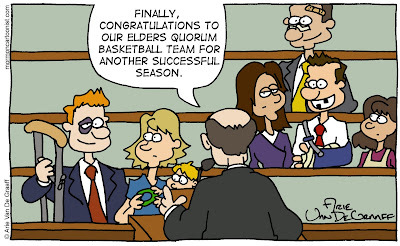 True, Kelsey, Jimmer would fit right in with this Elders Quorum team, wouldn't he?